Megastar Rajnikanth today said that Amitabh Bachchan is his inspiration and guru. "He (Amitabh) is my inspiration, role model and guru," said Rajnikanth after the music release of his upcoming mega budget film Robot in Mumbai tonight. The music was released by Amitabh Bachchan. While the lyrics are by Swanand Kirkire, the music has been composed by Oscar-winner AR Rahman. The two megastars shared the dais after three years. The last time Rajnikanth was in Mumbai was to show his movie Shivaji to Amitabh. "We have done films like Andha Kanoon, Giraftar, Hum, and I can never forget the love, affection and care he showered on me," said the 60-year-old South Indian film legend. "I have always valued his advise while taking important decisions," he added. Regarding Robot, he said he has worked with director Shankar in Shivaji too. But this role was tough and challenging, he said. Kamal Hassan and Shah Rukh Khan were approached for this role earlier. But I do not know what happened. 'Dane Dane pe likha hai khane wale ka nam' (May be, I was destined to get it)", he said. 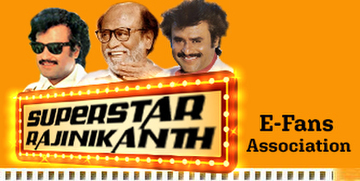 Rajnikanth said the film's budget is about Rs150-160 crore as it was technically very superior. But this alone cannot be the criterion for success. Citing the superhit Sholay, which will complete 35 years of its release tomorrow, he said it is historic and a megahit film. "It became a hit not because of its budget or multi-star cast. It was successful because of the subject, characters, sentiments and human motions involved," he added. Similarly, Robot has an excellent story and characterisation. Mega budget adds to this, he said adding he is extremely pleased and satisfied with the way the movie has turned out. He said it is the first of its kind sci-fi movie and he is very happy about it. 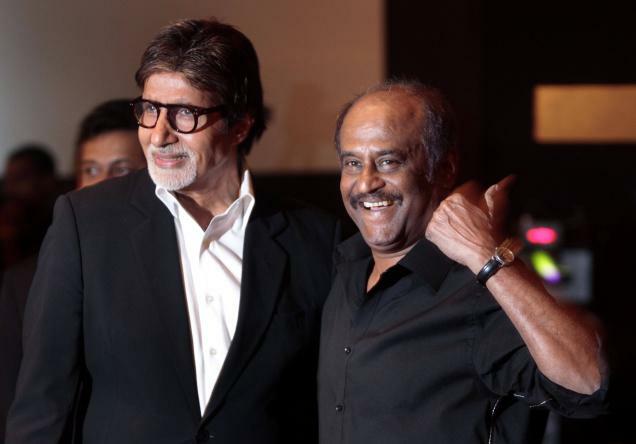 Responding to Rajni's comments, Amitabh said the southern star was a true son-of-the-soil. "I had a long association with Rajni and value him as a friend and colleague. He is truly a son-of the soil who is admired and loved by every Indian," said Amitabh. "I admire him because of his tender heart and humility. He is so grounded despite the adulation and fame he has enjoyed throughout his career. Given his humble beginning, Rajni is an example for every Indian. His simplicity, honesty, and down-to-the-earth nature have always impressed me," he said. The movie's director Shankar said that Robot is slated for a September release. The movie is about a scientist who creates a robot which looks exactly like him, he said. "This is not a Tamil, Telugu or a Hindi film. It is an Indian film because it brings together best creative talent from India and abroad," he added.